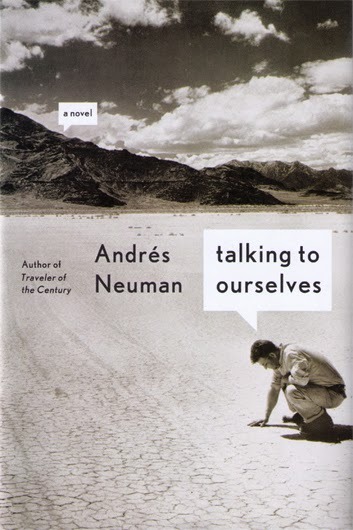 By Rebecca DeWald (Glasgow Review of Books)| Posted Sat., June 7 , 2014, 11:56 a.m. ET. 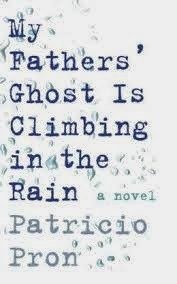 Patricio Pron's My Fathers’ Ghost Is Climbing in the Rain is the polar opposite of Rodolfo Walsh's Operation Massacre: introverted, with emotionally rather factually depicted characters, personal rather than journalistic account of someone else’s story. Both are believable immersions in the country's tragic history. Read more here. 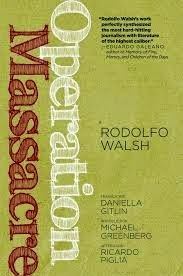 Rodolfo Walsh was a rare man of words and action: a masterful chess player, an award-winning fiction author turned investigative reporter, an intellectual who took up the arms against his country's military dictatorship and paid the ultimate price for it. Read more at the Boston Review. Poet, author, actor, and civil rights activist Maya Angelou, whose 1969 memoir I Know Why the Caged Bird Sings inspired generations of Black Americans and oppressed minorities all over the world, died last Wednesday at her home in Winston-Salem, North Carolina. Read more at The New York Times and El Diario. Watch video here. By Claudio Iván Remeseira Follow @HispanicNewYork | Posted Sun., May 25, 2014, at 11:45 a.m.ET. Coming Soon to a Bookstore (?) Near You. 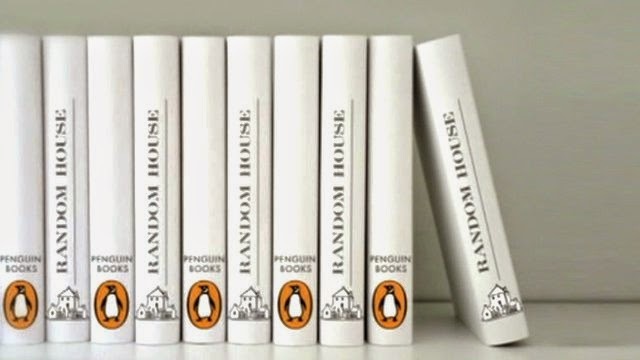 With the purchase of the Spanish company Santillana by Penguin Random House (PRH), the global printing giant created last year by the merger of Bertelsmann and Pearson Group's book division, the Spanish-language publishing world becomes more concentrated than ever-especially in Latin America, the largest market for Spanish-language authors. - This purchase was a news foretold. Santillana's previous owner, Prisa Group (owner also of the Spanish daily El País) is in deep financial trouble and had already announced that was selling its publishing division (It will retain Santillana's highly profitable educational imprint, though). Nevertheless, it makes momentous news because of the significance of Santillana's literary catalog. - Through the acquisition of this catalog, PRH owns now the bulk of the 1960s Latin American boom, including Gabriel García Márquez, Mario Vargas Llosa, Julio Cortázar, and Carlos Fuentes, as well as the work of Jorge Luis Borges, several Cervantes Awards (Juan Marsé, Jorge Edwards, Guillermo Cabrera Infante, Sergio Pitol) and several Spanish National Literary Awards, such as Javier Cercas an Javier Marías. The list of Spanish-language bestsellers includes also Isabel Allende, Laura Esquivel, Arturo Pérez-Reverte, and Quino, among many others. - This has a cultural as well as a business implication: most Spanish-language literature is no longer published by companies from Spanish-language countries. Globalization has come full circle. - The only Spanish-language publishing giant standing is Grupo Planeta. But its reach will be mostly restricted to Spain. - This also marks the end of the decades-long Spain-centric character of the Spanish-language publishing industry. Whether the shift from peninsular dominance to the dominance of a multinational corporation will be good or bad for Latin American writers remains to be seen. In the U.S., PRH will hopefully roll out the marketing and publicity investment that the Spaniard management was reluctant to make in order to consolidate and expand the local Spanish-language literary market. - Compared to the multi billion-dollar deals taking place every day in the information technology market, the amount of the Santillana purchase (72 million Euro) is a sobering reminder of the shrinking power of the print book industry. Spaniard executives were also very slow to react to the ebook and the digital revolution, which is something that will very likely change under the new ownership. Everyone talks about this southernmost major city of the United States. Now, at last, Miami has its own book. 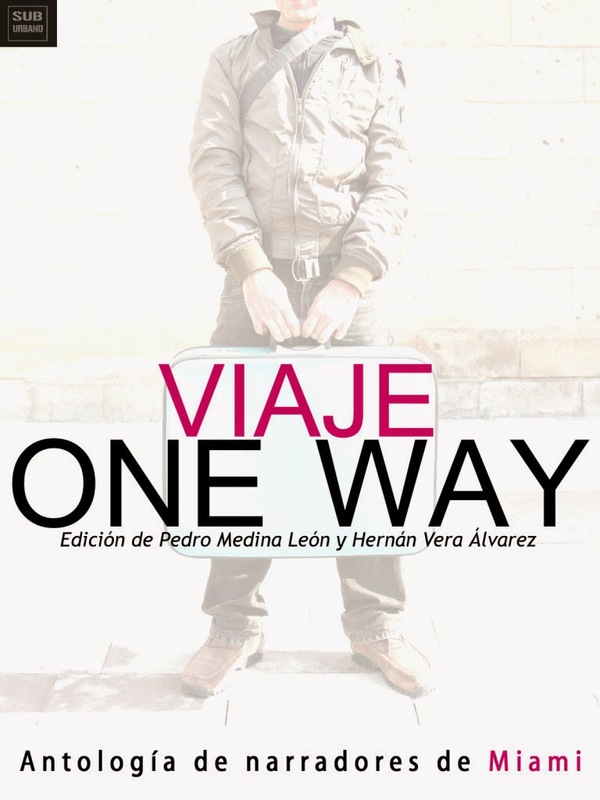 Viaje One Way (A One-Way Journey) is the first literary anthology by authors from Miami to be published in the 21st century. Writers from different countries in Latin America and from Spain who have become assimilated yet still share commonalities reveal in their writings a Miami that is much more complex than is generally thought. Literature about Miami that has been written by English-speaking authors is highly respected and acclaimed and deservedly so. But what of literature about Miami in Spanish? Is there such a thing? Miami today is no longer the destination for those immigrants who simply came to perform society’s lowest-paying jobs. Without the Hispanic community, Miami today wouldn’t be the one of the world’s most alluring cities. For the last twenty-five years or so, the typical Hispanic immigrant coming to Miami has been one who has a university background, makes investments, and works in good-paying jobs. The arrival of these immigrants has brought about an invaluable cultural exchange in diverse areas, such as in the arts and in literature. Today there is a small Hispanic literary ecosystem of publishing houses, magazines, reading groups, readers, and writers who have become assimilated. To become assimilated means to survive, to hold a job, to settle down, to know the boundaries of a particular culture, to have one’s papers in order, and then to write. Viaje One Way, then, offers very detailed readings of the complex yet fascinating mosaic that is Miami today. 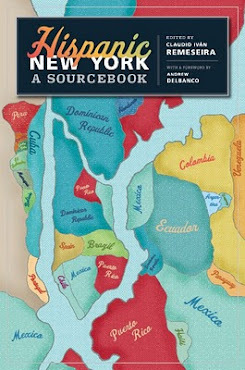 The anthology includes selections by José Abreu Felippe (Cuba), Eli Bravo (Venezuela), Carlos Gámez Pérez (Spain), Andrés Hernández Alende (Cuba), Rossana Montoya (Peru), Rodolfo Pérez Valero (Cuba), Camilo Pino (Venezuela), José Ignacio Valenzuela (Chile), Gastón Virkel (Argentina), Rosana Ubanell (Spain), and the anthologists, Pedro Medina León (Peru) and Vera (Argentina). Among the stories included: Mr. Not Guilty, which deals with the severity of the penal code in the United States, and which reminds us that the death penalty still exists in this “promised land”; Regreso a casa (Going Home) relates the nostalgia of political exile and very nearly becomes fantasy fiction; the daily routine of a young woman who has just recently arrived in this country and who tries to understand everything that she sees and hears because, otherwise, she knows that she will be left behind, is narrated in Las pirámides del Diner (The Diner’s Pyramids); the story Abducciones en la que no es y nunca fue tu ciudad (Abductions In What Is Not and Never Was Your City), about a Spanish roommate, offers the reader science fiction; and the seedy underworld of violence in South Beach with the undocumented workers and the payments made under-the-table is told in the story Cuando el azar era el pasado (When Chance Was the Past). Viaje One Way, published by Suburbano Ediciones, will be available in both print and digital editions. The book will be presented to the public on May 22, at 8:00 PM, at Books and Books, 265 Aragon Avenue, Coral Gables, Florida. Hernán Vera Álvarez, sometimes just known as Vera, was born in Buenos Aires in 1977. He is a writer and a cartoonist. He has published a book of stories, Una extraña felicidad(llamada América) (A Strange Happiness Called America), and a comic book, La gente no puede vivir sin problemas! (People Can’t Live Without Problems!). 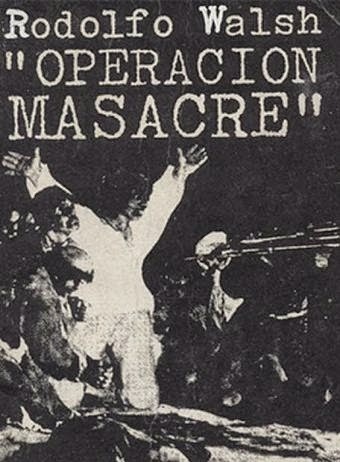 Much of his work has been featured in magazines and newspapers in the United States and in Latin America: El Nuevo Herald, Meansheets, Loft Magazine, El Sentinel, Nagari, Sea-Latino, TintaFrescaUS, La Nación, and Clarín. He lived in the United States for eight years as an illegal immigrant, working in the shipyards, in the kitchen of a nightclub, in discotheques, and in construction. Pedro Medina León (Lima, Peru) is the author of Streets de Miami (Streets of Miami) and Mañana no te veré en Miami (I Won’t See You Tomorrow in Miami). He has also contributed to several anthologies. In 2009, he launched the magazine Revista Cultural Sub-Urbano (Miami). Since 2013, he has led the publishing house Suburbano Ediciones, and he is also a professor of creative writing at the Koubek Center, Miami Dade College.